Most journalism and communication grads would jump at the chance to learn from a New York Times correspondent or the CEO of a digital entertainment company. 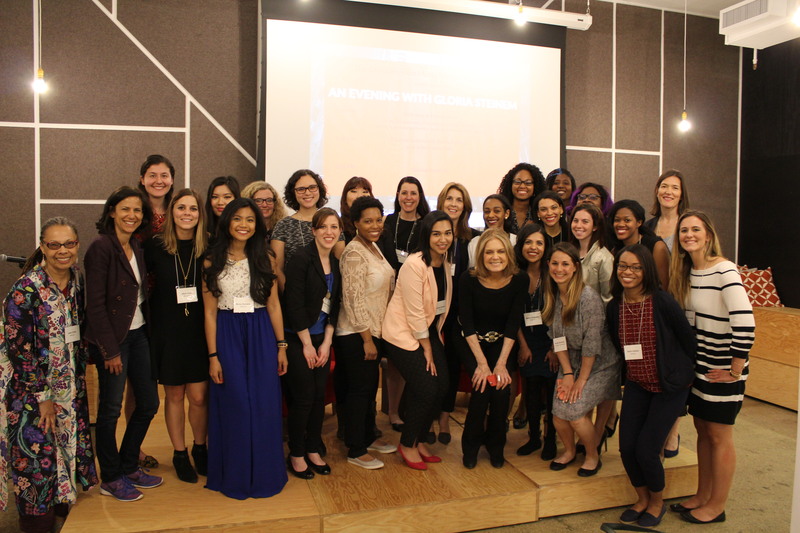 Under Rutgers University’s new Alison R. Bernstein Media Mentoring Program (previously called the Gloria Steinem Media Mentorship Program), recent alums have been afforded that very opportunity. In a 2015 report, the Women’s Media Center found men generated 62.1 percent of news in 2014, while women generated 37.3 percent. In a 2015 report, the Women’s Media Center found men generated 62.1 percent of news in 2014, while women generated 37.3 percent. For the 250 most profitable films made in the U.S. in 2014, 83 percent of all directors, executive producers, producers, writers, editors and cinematographers were men. At both Twitter and Google, 70 percent of employees were male. Considering these findings, the WMC concluded that “media on all platforms are failing women.” And Rutgers concluded it had to be part of the solution. 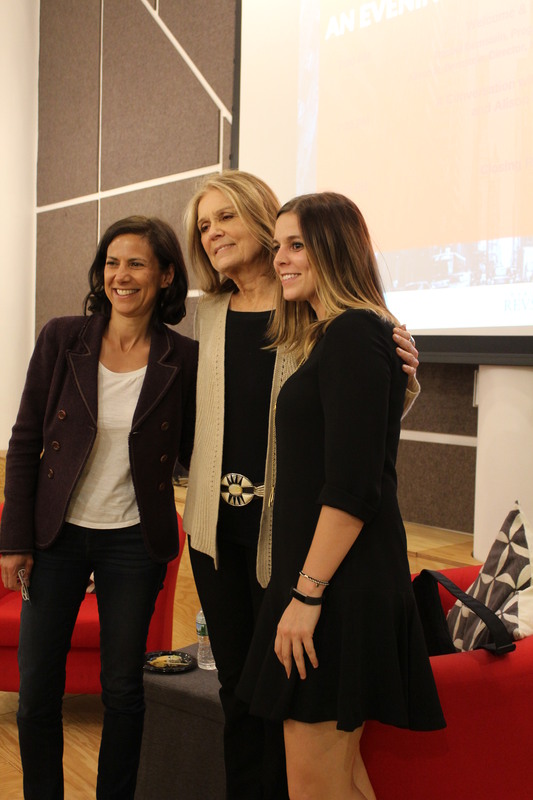 Through its first year, the mentorship program was called the Gloria Steinem Media Mentorship Program and its development was guided by IWL Director Alison Bernstein, who passed away in June. The SC&I, IWL and Gloria Steinem decided to recognize Bernstein’s dedication to her work by renaming the mentorship program in her honor. The Alison R. Bernstein Media Mentoring Program is one of the initial components of the Gloria Steinem Media, Culture and Feminist Studies Initiative at Rutgers. The initiative, Alison Bernstein explained earlier this year, also includes a new minor combining media studies and women and gender studies, as well as the Gloria Steinem Endowed Chair in Media, Culture and Feminist Studies. With more than $2 million raised thus far, Rutgers is currently fundraising for the chair, with recruitment set to start once the $3.5 million goal is reached. Alison expected the chair to be filled in 2017 at the earliest. “That’s when the fun begins,” she said. Holding the position for three to five years, this person will teach one or two courses and lead program activities — conferences, lectures and research — on the topic of media, culture and feminism. In its first iteration last fall, the mentorship program linked 20 recent Rutgers alumni — one to five years out from graduation — with 20 female media professionals who volunteered to help them navigate the working world — everything from office politics to cover letter basics. In order to apply for the nine-month program, mentees were required to have six months to one year of experience in media, journalism or information technology. They also had to live within a 200-mile radius of Rutgers University-New Brunswick. Rachel Bernstein, the coordinator of the mentoring program, and Steve Miller, coordinator of undergraduate studies in the Department of Journalism and Media Studies, worked together to identify mentee and mentor candidates. A total of 35 recent alumni applied to be mentees, and prospective mentors, once they learned of the program, were excited to get involved. “I’d say 95 percent of the people I called to be mentors said they’d be very happy to do it,” Miller said. Once the pairs were set, Rachel laid out the agenda for the program, including a minimum of three in-person mentoring sessions and at least monthly contact through email, Skype, phone calls or texting. She also requested monthly feedback journals from the mentees, which allowed her to see how the program was progressing and whether she needed to address any conflicts. Maricar Santos, a freelance writer and 2012 Rutgers alum based in New Jersey, learned about the program through a Rutgers alumni Facebook group. Feeling like she needed some guidance and a safe place to ask her career-related questions, she applied and was linked up with Adrienne Didik, copy chief for O, The Oprah Magazine. When Didik heard about the program, also through Facebook, she was eager to help. Santos and Didik met four or five times over the course of the program and stayed in touch via email. Didik helped Santos with her cover letters, negotiating freelance rates and finding and applying for jobs. Jillian Fiore, account manager for the Google Analytics 360 Suite and a 2011 Rutgers alum, learned about the mentorship program through her involvement with the IWL. While Fiore said she’s lucky to have female colleagues at Google who she can learn from, the mentorship program was uniquely helpful, particularly given her interest in the startup and tech world. “The idea of being able to get an objective point of view from someone who has been successful and isn’t necessarily as closely knit within my own company was something that I was really excited about,” Fiore said. Describing her mentor, Katapult CEO Kyra Reppen, as a “perfect match” for her, Fiore said Reppen helped her think both long- and short-term about her career, and helped her discuss her goals and contributions more authentically. In May, Fiore moved from New York to the West Coast, staying with Google all the while, and she said Reppen helped her gain the confidence to make the cross-country move. Reppen, who has served as an informal mentor for others throughout her career, said mentorship is both something she enjoys and sees tremendous need for in her industry. In addition to one-on-one mentorship, the program also featured events throughout the spring and fall. 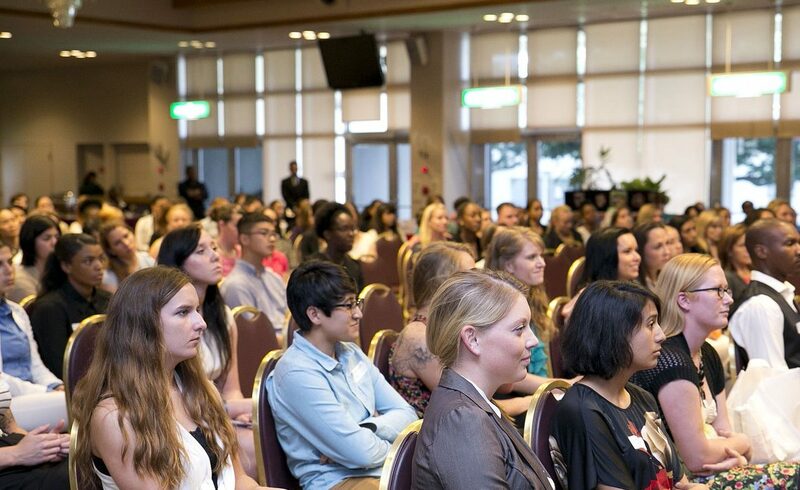 Each event had a guest speaker — Geraldine Laybourne at mentee orientation in September, Carol Jenkins at another mentee event in December, and feminist icon Gloria Steinem at a joint mentor-mentee event in April. Held June 7 at Rutgers, the final mentee meeting featured Rutgers alum Michele Promaulayko, former editor-in-chief of Yahoo Health, vice president/editor-in-chief of Women’s Health and executive editor of Cosmopolitan. While linking up with an accomplished woman in media is helpful in itself, Rachel said, the events added another layer of benefits for the mentees. The program has been renewed for a second year, and Rachel and Miller will be recruiting mentors and mentees for a re-launch in September. Reflecting on the past year, Rachel has goals for next year’s program. “I would like to try and get all the mentors together in the beginning to have maybe a half-day, four-hour training on tips for mentors and how to execute a great mentorship,” she said. She would also like to include more workshops — on topics like interview skills and cover letter writing — so that mentees receive guidance even if they’re not meeting with their mentors as much as other pairs. Miller said initiatives like the mentoring program and the Steinem initiative are critical to the fight for gender equality. **We learned about Alison’s passing, and the renaming of the program, after this article first published. The article has been updated to reflect the renaming. Our deepest sympathies go out to Alison’s family, friends and colleagues.